The Detroit Tigers had an Opening Day walk-off win taken away from them Friday when what looked to be a safe, 10th-inning slide into home from Nicholas Castellanos was overturned on review. If you believe Tigers manager Ron Gardenhire, MLB admitted the call was botched. Gardenhire said the message was conveyed in a conversation between Tigers general manager Al Avila and MLB’s New York offices. It’s weird and kind of frustrating that MLB will admit this behind close doors but won’t have any public transparency about its replay reviews. 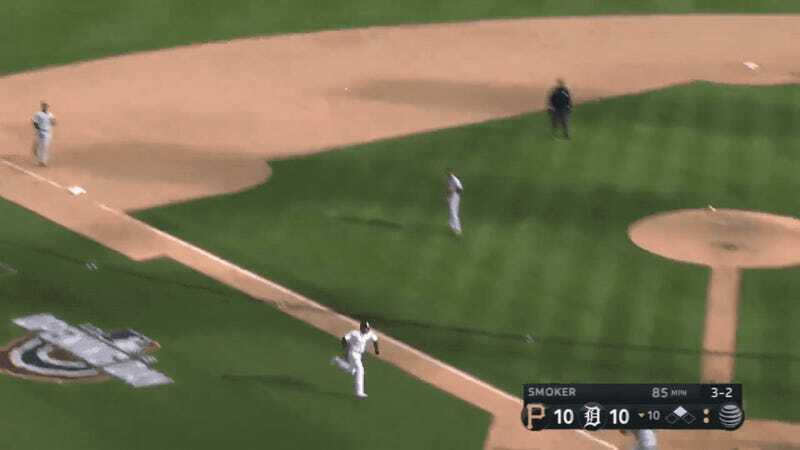 Regardless, Gardenhire and the Tigers can take solace in this small victory—and not the actual one, since the Pirates won 13-10 after 13 innings.